The 2018 Yuma County Fair & Rodeo Queen is, Grace Merritt. She is the daughter of Cliff & Karen Merritt, of Wray. She is 18 years old and preparing for her Freshman year at West Texas A&M University where she will be majoring in the Pre-Vet program. She enjoys many hobbies including sports, riding her horse, and competing in barrel racing. The Lady-in-Waiting is Jacy Archer. She is the daughter of John Archer and will be a Senior at Wray High School. She plays softball and is involved many school organization such as FFA, FCCLA, and shows Dairy cattle. She is looking forward to her Queen year. 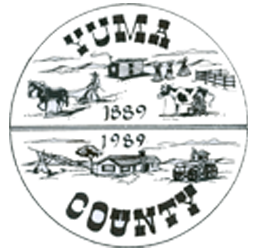 The Yuma County Fair & Rodeo Royalty program is sponsored by the Yuma County Commissioners and the Yuma County Cattleman’s Association. The Yuma County Fair and Rodeo Queen (YCFRQ) is the ideal western American young woman. She symbolizes the youth of Yuma County who wish to promote Yuma County, Yuma County agriculture, and the sport of rodeo. The committee hosts a contest annually to choose one young woman to become the new Lady-in-Waiting, and this person will then become Queen the following year. The contest is held immediately prior to the fair, with the contest being judged on: Speech & Interview 40%, Horsemanship 30%, Poise & Personality 20%, and Application/Essay/Recommendations 10%. Any unmarried women living in Yuma County, being 16-23 years old on the day of the contest, can run from the position. Any questions concerning the program, Lady-in-Waiting contest, or volunteering can contact the committee at yumacountyfairqueen@gmail.com or ask at the extension office for more contact information.